Amazon – Get Rs 100 Cashback on Loading Rs 1000 to Amazon pay balance [9-13th November]. Amazon has come up with an awesome deal and offering flat Rs 100 Cashback on Load Money of Rs 1000 or more to your Amazon Pay Balance. This Offer is valid from 09th November to 13th November 2017. Cashback will be credited by 20th November 2017. So Hurry up and avail this Offer Now !! 3) Goto Amazon Pay balance and Enter amount as Rs 1000. 4) Add Money to your wallet. 6) Done !! You will get the Rs 100 Cashback by 20th November 2017. Q.How can I avail this offer? To avail this Offer the customer must- Add Amazon Pay balance of Rs.1000 or more in a transaction, between Nov 9th to Nov 13th, 2017. The Offer is applicable for all successful transactions, upon adjustment for refunds / cancellations, conducted on www.amazon.in or its corresponding mobile application/site thereof (collectively, “Amazon.in”) during Offer Period. *Offer is valid on loading Amazon Pay balance (as ‘Your Money’ or ‘Gift & Credits balance’). • Q.When am I not eligible for this offer? The customer is not eligible if the amount of Amazon Pay balance added is less than Rs.1000 in a transaction. • Q.What is the maximum cashback amount that I can avail under the Offer? The maximum cashback amount per customer is Rs.100. All customers will get Rs.100 as cashback. • Q.My payment failed while placing the order for adding Amazon Pay balance; will I be eligible for the cashback under this Offer? If your payment failed while placing an order, Amazon.in gives you an option to revive your payment for such order. You will be eligible for the Offer only when the order and payment are successful. 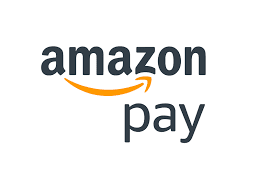 • Q.How can I add Amazon Pay balance? • Q.When will I get the cashback under the Offer? The applicable cashback under this Offer will be credited to the eligible customer’s Amazon.in account in the form of Amazon Pay balance on or before 20th November, 2017.